Bobby Drake and Emma Frost have a complicated relationship. In the ’90s, Emma possessed Bobby’s body and helped him unlock the full potential of his ice powers—but it still involved unwanted psychic manipulation, and that’s not cool. Emma has flip-flopped between hero and villain for years, and she’s currently in a morally ambiguous middle ground. She incited a war between mutants and Inhumans, but was a force for good when Hydra took over the world in Secret Empire. No one knows if Emma can be trusted, which puts Bobby in a tricky spot when she reaches out to him for help in next week’s Iceman #2. 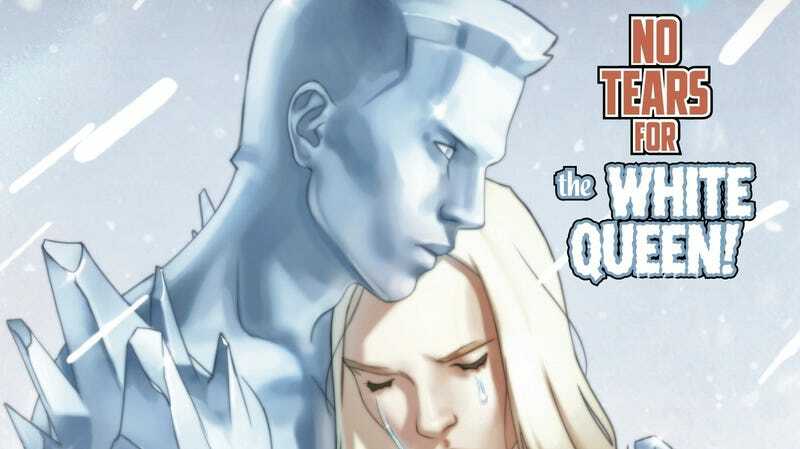 The revival of Sina Grace’s Iceman was a surprise, and it’s nice to see Marvel not giving up on one of its few queer heroes. Grace isn’t shying away from major issues faced by the LGBTQ+ community in this series, and Bobby’s team-up with Emma give Grace the opportunity to explore the psychological trauma of conversion therapy. Emma’s gay brother, Christian, was sent to conversion therapy and then institutionalized after he tried to kill himself, and Grace is picking up on this long-abandoned plot thread to bring Emma and Bobby back together and explore the tension that still exists between them. 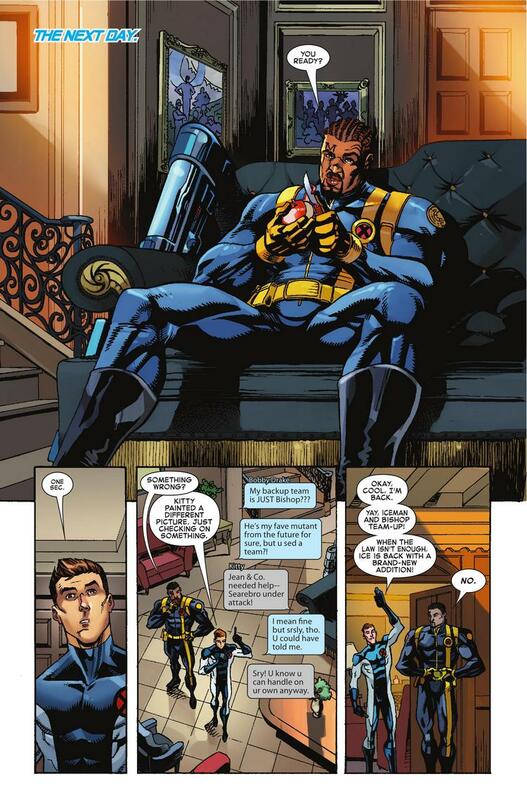 This second volume of Iceman highlights what a difference it makes when an artist matches the tone of the scripts, and the new art team of Nathan Stockman and Federico Blee gives the series a brighter, more animated look that reinforces the humor of Sina Grace’s writing. (It also helps that Stockman draws very attractive men—check out the BDE of his Bishop.) As serious as the topic of conversion therapy is, Grace makes sure to include moments of lightness like Emma’s psychic projection of “vulnerability,” which makes these characters more endearing. There are still some groan-worthy dad jokes, but that’s a part of Bobby’s personality that is never going away.